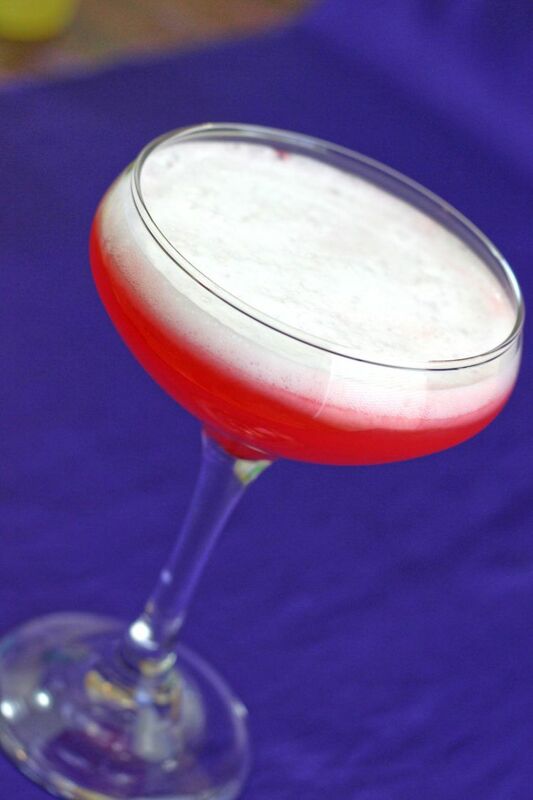 The Royal Clover Club Cocktail has a flavor that’s all citrus and berry, but a texture that’s creamy. That’s because it uses an egg yolk which adds very little flavor, but some definite body. This is a very easy drink to like, but you will taste the gin, so make sure you use one you like. My personal favorite is Hendrick’s, which has floral, herbal, sweet and bright notes – it’s really something else. If you prefer your gin to have a straight up juniper flavor, you can’t go wrong with Beefeater. If you prefer a milder gin, try Bombay Sapphire. You don’t have to use an actual raw egg in this drink. You can use an egg substitute product. Since those are designed to mimic the flavor and texture of an egg yolk, it works better than you might think. 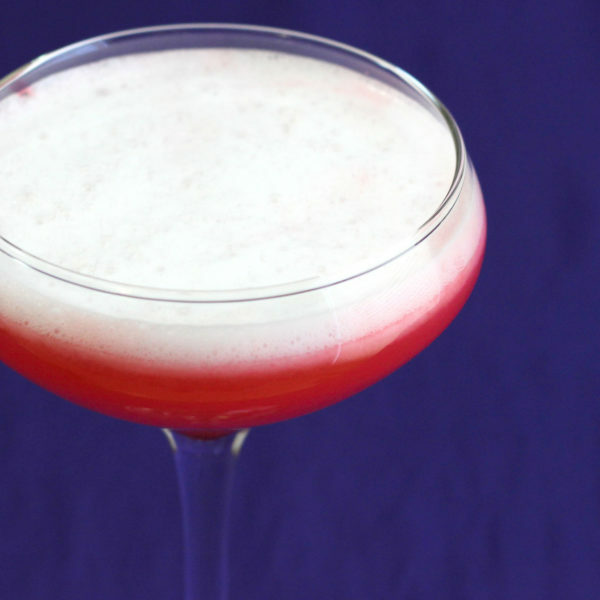 Once you’ve tried cocktails with an egg texture, you may be surprised how much you like it. I introduced a friend to the Whiskey Sour egg white variation, and it became her go-to drink. If you enjoy drinks with this eggy texture, you might want to try the September Morning, which features light rum and cherry brandy. 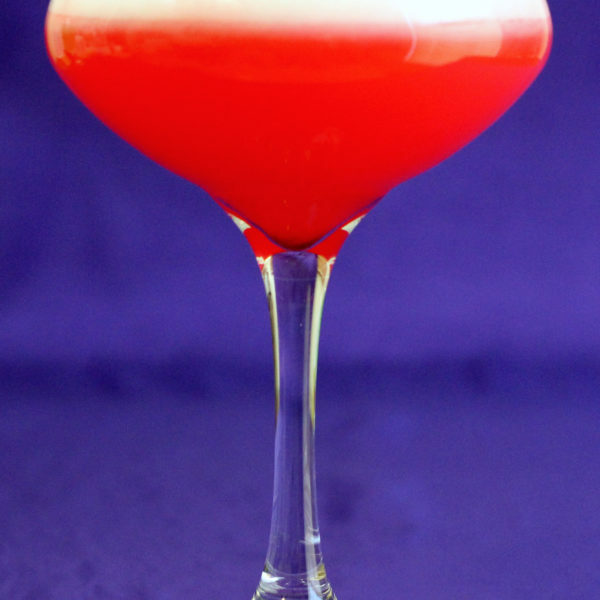 Or the Casino Royale, which is actually fairly similar to this drink, but with maraschino liqueur in place of the grenadine. And there’s always the classic Pisco Sour, if you’re feeling brave. This cocktail goes well with a lot of foods. Try it with Cherry Cheesecake Brownies from The Recipe Critic. The cherry flavor goes well with the grenadine in the drink, while the cheesecake and chocolate flavors contrast nicely. Fill a cocktail shaker with ice and pour in all ingredients. Shake very thoroughly to mix up the egg yolk. Strain into a whiskey sour glass.